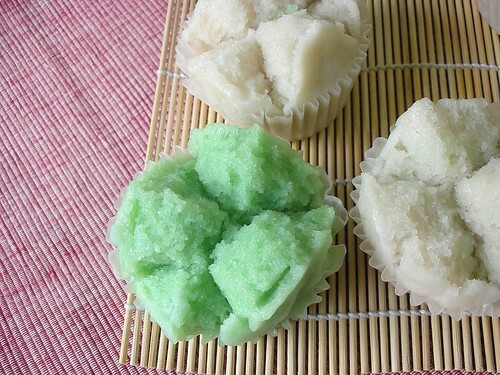 and.. your steamed rice cake looks so nice!!! can share the recipe with me? wow, it’s really retro time…. make me wanna try it out too! It’s my first time visiting your blog thru Mrs Kwok’s. I totally love it and it’s so fun to read because I guess you are a fun gal. Great bakes. 🙂 Will be back to visit. 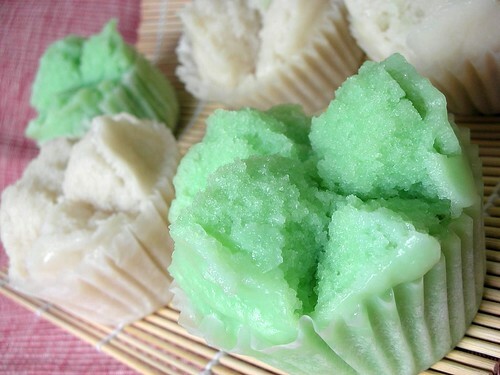 Xiaozhu I wan to eat these steam rice cakes!!!! I’m Brazilian and this web site is just AMAZING! You have recipies for Beatyful Food! I SO whant to MAKE them!!! I do not know if here in Brazil i’m going to find all the ingredients. 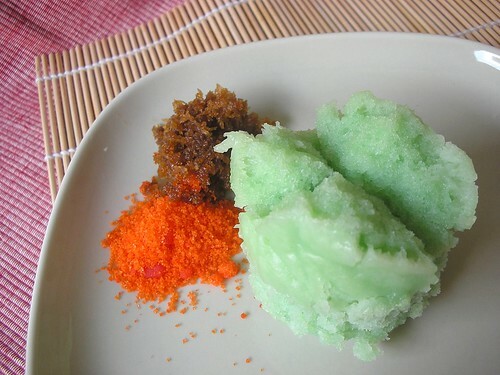 u won’t believe when i say that my sis-in-law is leaving hong kong and wants to finish all the stuff she has which includes 2 kgs of rice flour….yes u guessed it…i’m gonna make these rice cakes. just found your blog and i love all to try out traditional recipes too! I just started learn baking. And your site really helps me alot. Do you mind that i have your email nor IM so that can keep in touch with you to share some thought and ask for any query? i enjoyed looking at your posts re: the steamed cakes! will add you to my blogroll! keep it up! Stumbled upon your blog a while ago when searching for a recipe. Wow..your blog makes me hungry! i want to eat everything you’ve made! Nice job cooking, photographing and enjoying life! Fantastic recipe!If you won’t mind, I’d really love to guide foodista readers to your site. Just add your choice of Foodista widget at the end of this blog post and you’re all set. Thanks! Amanda, where are you? I’ve just discovered your blog and all of your fantastic foodstuffs, but it seems as though you’ve stopped blogging a year and a half ago :[ Great food!